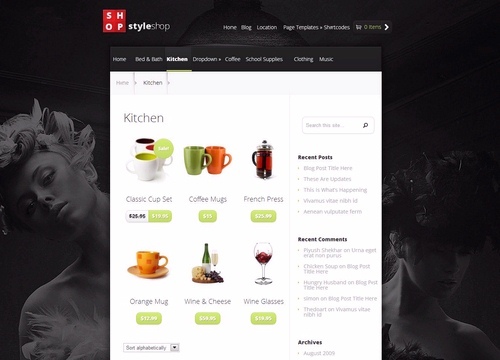 StyleShop is a sleek and powerful eCommerce WordPress Theme built on WooCommerce, and offers a power suite of tools for running an online store. The design is beautiful and fully responsive, and offers a unique mobile menu that makes browsing your store on mobile devices easier than ever. StyleShop also makes full use of the WordPress Theme Customizer, allowing you to quickly change the colors of your fonts, background, navigationbar, footer, and more. Showcase your featured content in home page using a large featured slider on the homepage. StyleShop theme comes with many page templates for various purposes like Contact page, full width page, galleries, sitemaps, blog feeds and much more. StyleShop also makes full use of the WordPress Theme Customizer, allowing you to quickly change the colors of your fonts, background, navbar, footer, and more. 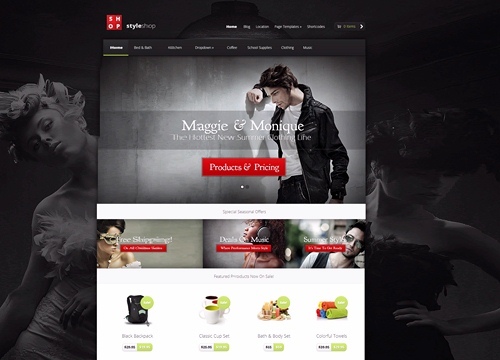 Planning to buy StyleShop theme from Elegant Themes. Buy with Confidence. This page provides you with all possible Buying options. Usually Buying options or Pricing page of any theme designer is designed for conversions (to attract users and convince them to buy). Our Buying options page is not like that. We provide all the information about each Buying option. No hidden text or terms. We tried to cover everything that you should know before buying this theme.